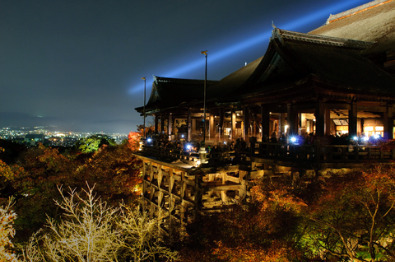 Kiyomizu-dera (literally "Pure Water Temple") is well-known landmark of Kyōto and one of the most popular temples for visitors in Japan. 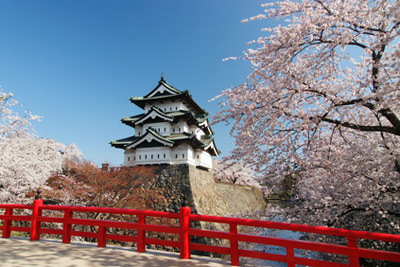 The temple's beauty is best appreciated during the cherry-blossom and autumn foliage seasons. 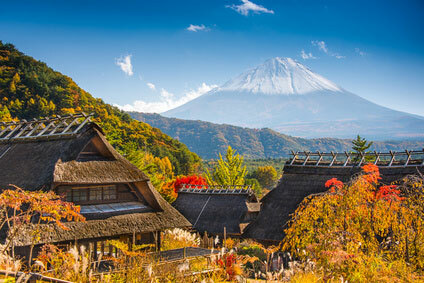 A particularity of Kiyomizu is its broad veranda, supported by 139 pillars and facing the forested hills of South-East Kyōto, a very picturesque setting. Tracks run from underneath the temple around the woods and back to the veranda. 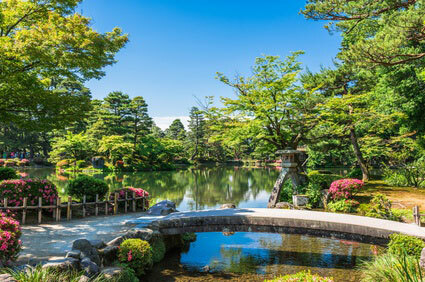 The best views from the main hall are from the Otowa Falls, near the three-storied pagoda. 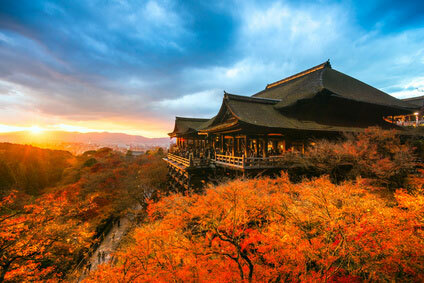 Otowa-san Kiyomizu-dera, by its full name, is venerably old. 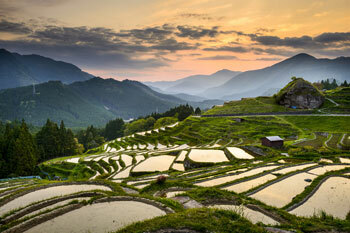 It was founded in 798, soon after Kyōto became the capital of Japan. It belongs to and is one of the last surving members of the Hossō sect of Buddhism, one of the six virtually extinct schools of Nara Buddhism. 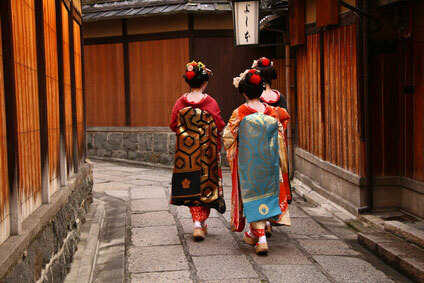 Technically, Kiyomizu is part of an independent branch called the Kita-Hossō. 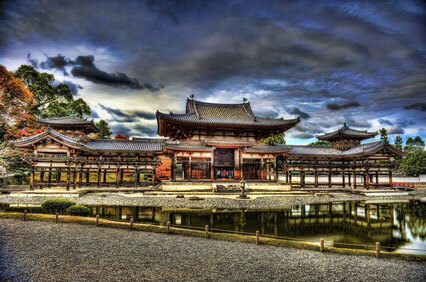 The present buildings were reconstructed in 1633 by Tokugawa Ieyasu and some were recently restored. 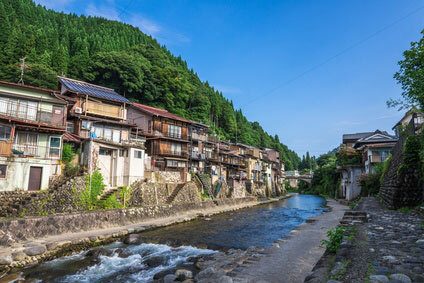 During the Edo period, it was said that whoever jumped the 13 metres from the veranda and survived would have a wish granted. 234 people dared the leap, of which 35 perished. The practice has long since been prohibited. New beliefs and practices have appeared over time. 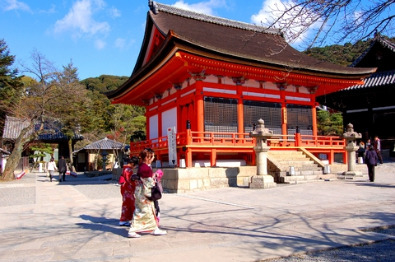 Among the shrines part of the Kiyomizu complex is the Jishu-jinja Shrine, nicknamed the Love Shrine or Matchmaking Shrine. 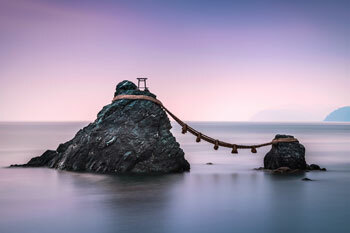 It is dedicated to Okinushi-no-mikoto, the Shintō god of love, marriage and relationships. Visitors in search of their soul-mate can try to walk between pair of "love stones" placed 18 meters apart. They should do it with their eyes closed in order to find true love. One can be assisted in the crossing, but this is taken to mean that a go-between will be needed. The temple is open from 6am to 6pm and admission is ￥300. Bus 206 from Kyōto station stops at Kiyomizu-michi and Gojō-zaka, from where visitors have to walk up the gentle slope filled with souvenir shops leading to the temple.